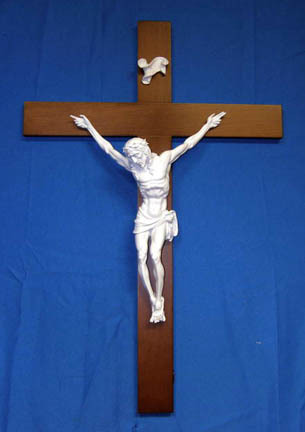 Papal Crucifix by Ado Santini with hand painted alabastser corpus and cross, 14.5". Also available in 24.5" (AD-385-C). Made in Italy.